The YAP project (Young Ambassadors Program) is a follow-up project to successful reintegration. 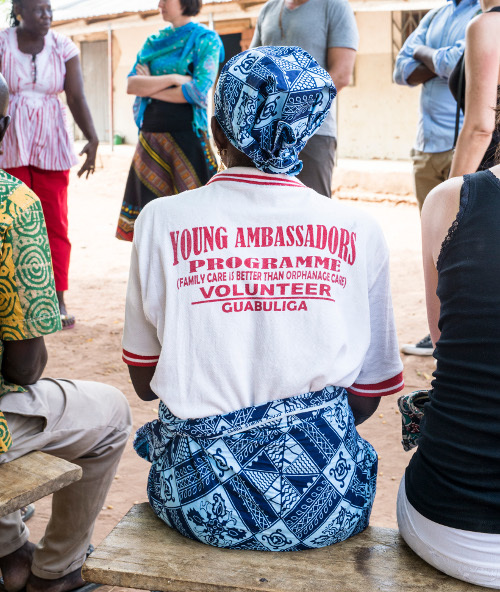 Former orphans of the Guabuliga orphanage and members of their (enlarged) families today are active ambassadors for reintegration and are committed young ambassadors. They visit surrounding villages of Guabuliga with BRAVEAURORA’s social workers and inform about the advantages of reintegration into the family association. They also inform about the topic “Volunteer Business” and the dangers of “Voluntourism”. The Young Ambassadors are so-called peers, who report from their own experience, which negative impacts an orphanage bears for children and what the advantages of growing up in a family structure are. To bring these topics to the attention of other young people, parents and important key persons in villages, the trained young people as well as their family members share different perspectives. The idea behind is that the informed group passes on the acquired knowledge in their respective environment. With the YAP project and its reintegration ambassadors, BRAVEAURORA in Ghana is helping to minimize the orphanage business in Ghana and to convince people that it’s always the best for a child to grow up a in family structure.